The National Collaborating Centre of Methods and Tools (NCCMT) has developed a Rapid Review Guidebook that details each step in the rapid review process, with notes on how to tailor the process given resource limitations. The Guidebook also includes a guide to writing the final report, with details on how to structure the report and what to include in each section. 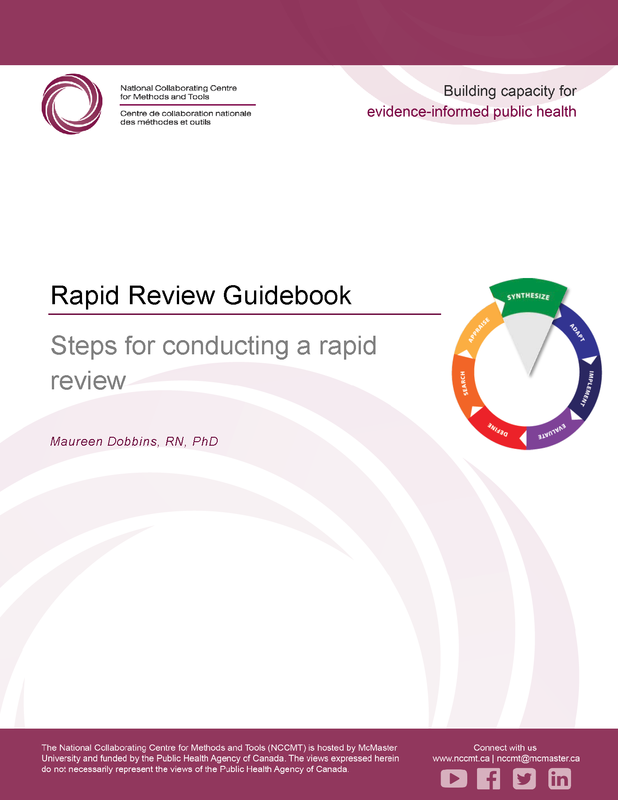 Have you used the Rapid Review Guidebook? Please share your opinions with us in a brief survey. Dobbins, M. (2017). Rapid Review Guidebook. Hamilton, ON: National Collaborating Centre for Methods and Tools.